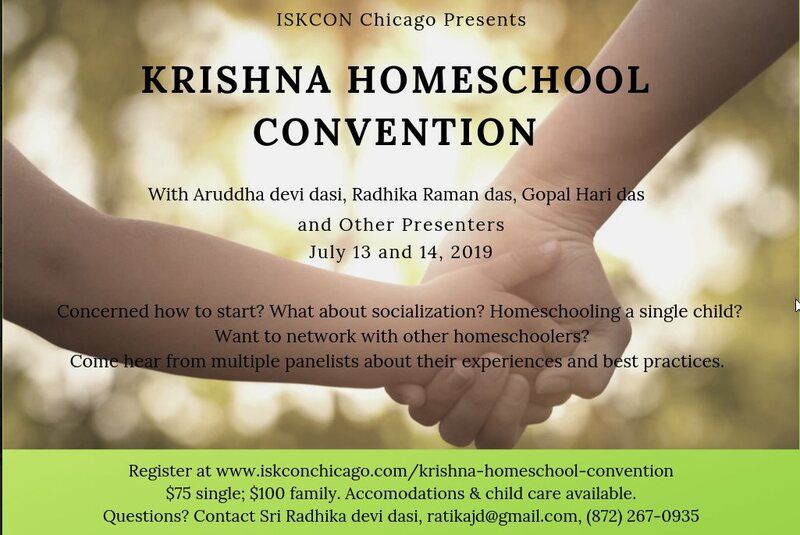 Sri Radhika devi dasi: All are invited to a first-of-its-kind Krishna Homeschool Convention, to be held at ISKCON Chicago on Saturday, July 13th and Sunday, July 14th! 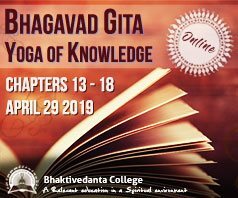 For the first time in a decade, homeschooling-pioneer Her Grace Aruddha devi dasi will be presenting a seminar with both her illustrious sons, His Grace Radhika Raman das and His Grace Gopal Hari das. However, the unique feature of this convention will be multiple panelists and presenters with experience in homeschooling. Topics to be discussed will include how to get started, social challenges, tapping into local resources, homeschooling a single child, homeschooling teenagers, successful transition to college, and many more! 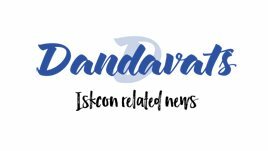 There will be break-out sessions to discuss challenges in homeschooling, as well as how to establish systems of support and coops within the Hare Krishna movement.